Description: Children of all ages love the life-sized version of the classic ring-dropping game. The Jumbo connect 4 game is guaranteed to be a hit with family and friends at birthday parties, family reunions, community centers, after-school programs, classrooms, and more. Young players build teamwork and cooperation skills while they learn to match four colored rings in a row to win. This interactive game is great for two players, and also works with teams for epic kids-vs-grown-ups championship matchesOur pop a shot rental units are a perfect way to entertain your guest as they compete with one another to see who can score the most shots in a given period of time. Give us a call to book. 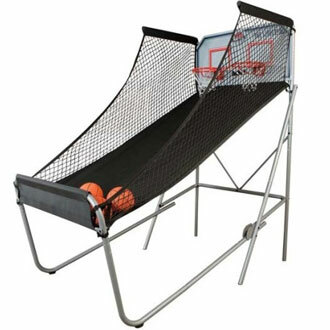 Pop a shot includes pop a shot unit and 6 basketballs.